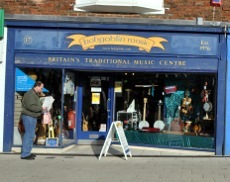 Hobgoblin Music in Northgate offers a very wide range of musical instruments for sale and rent. The firm concentrates on folk and world music, and also sells CDs, books and magazines. The firm has several other branches around the country.